A FAMILY PHYSICIAN AND EMERGENCY MEDICINE PHYSICIAN currently practicing in Perth, ON. She is also the Medical Director of Tay River Reflections Medical Spa in Perth since 1999. Dr. Joannou graduated from the University of Ottawa Medical School in 1990. 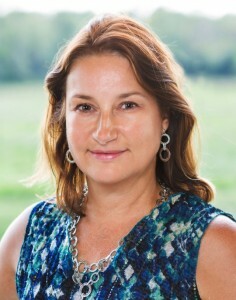 She completed her Family Medicine Residency at the University of Ottawa in 1992 and then achieved Special Competency in Emergency Medicine and Critical Care from the University of Ottawa in 1993. She was awarded the Frank P Craft Graduation Award for Excellence in Family Medicine. Dr. Joannou has worked in various Emergency Departments including the Ottawa General and Ottawa Civic Hospitals, and in a number of community hospitals for 25 years. She has a special interest in psychotherapy and has been leading discussion groups and wellness programs and speaking at public events and conferences for the past 10 years. She has a specific interest in the field of PTSD in First Responders and Military Personnel. Dr. Joannou has been actively researching this field for a number of years and is aware of what programs and services are currently available in Canada. She has put together a novel program that addresses not only the psychologic and physical symptomatology of PTSD, but also the moral injury component. L. COL. MARKUS BESEMANN B.SC. MD FRCP DIP. L.Col. Besemann is the CANADIAN ARMED FORCES CHIEF OF REHABILITATION MEDICINE AND IS THE EXPEDITION TEAM DOCTOR FOR THE TRUE PATRIOT LOVE FOUNDATION . A graduate of the University of Ottawa, Dr. Besemann has practised medicine since 1989 and since 2008 has devoted his career to the rehabilitation of injured soldiers, conducting extensive research to improve outcomes for military amputees and members of the military who have experienced trauma. Having already participated in TPL’s successful Himalayan mission and the North Pole mission, Dr. Besemann led the mission to Antarctica in January 2016. On December 4th 2014, Lieutenant-Colonel Markus Besemann was awarded the esteemed Rehabilitation Award of the Association of Military Surgeons of the United States for his medical contributions to the discipline since 2008. This is the first time a Canadian has been awarded such an honour. SERGEANT JEREMY BLAIR LAV SGT, 6 PI, B COY/LAV. SGT. 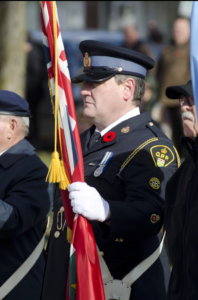 BLAIR HAS BEEN DEPLOYED SEVERAL TIMES WITH THE BATTALION, A 6-MONTH TOUR TO KOSOVO IN 1999-2000, A 6-MONTH TOUR AT CFS ALERT ON THE TIP OF ELSMERE ISLAND IN 2001-2002, AND THREE 7-MONTH TOURS TO AFGHANISTAN BETWEEN 2003 AND 2007. After his return from Afghanistan in 2007, SGT. Blair completed an Advanced Mountain Operations course in 2008 and was posted to the Advanced Warfare Centre. Sgt. 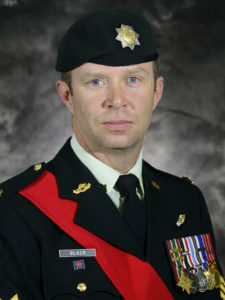 Blair has extensive Canadian Armed Forces training and experience in leadership, instructional techniques, navigation, risk recognition and risk mitigation. He has experience leading in dynamic high risk environments while ensuring the safety of his team. 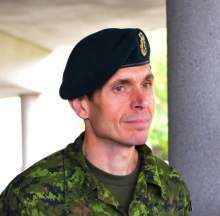 He was the Avalanche adviser to Canadian battalion on NATO exercise in Norway, trained all Canadian soldiers in avalanche awareness and response, and supervised movement of approximately 500 soldiers through avalanche terrain.